I am pleased to be the first Patron of Disabled WinterSport Australia (DWA). DWA is the National Sporting Organisation that has provided accommodation, equipment and ski training for people with disabilities at Australian ski fields for 35 years. 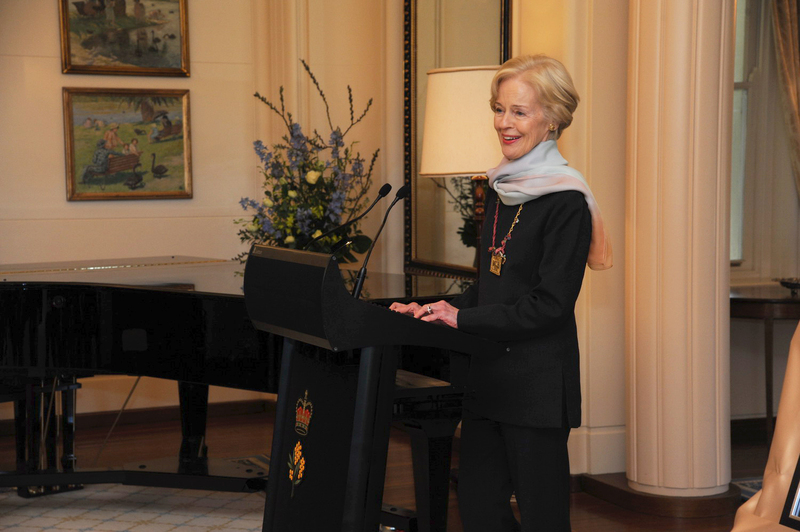 Her Excellency the Honourable Quentin Bryce AC CVO and His Excellency Mr Michael Bryce AM AE held a Morning Tea at Government House, Canberra where Her Excellency announced my Patronage. My mission as Patron of DWA is to help every DWA member find their strength, fortify their resilience, and through that achieve personal success. I ask all Australians to support DWA. 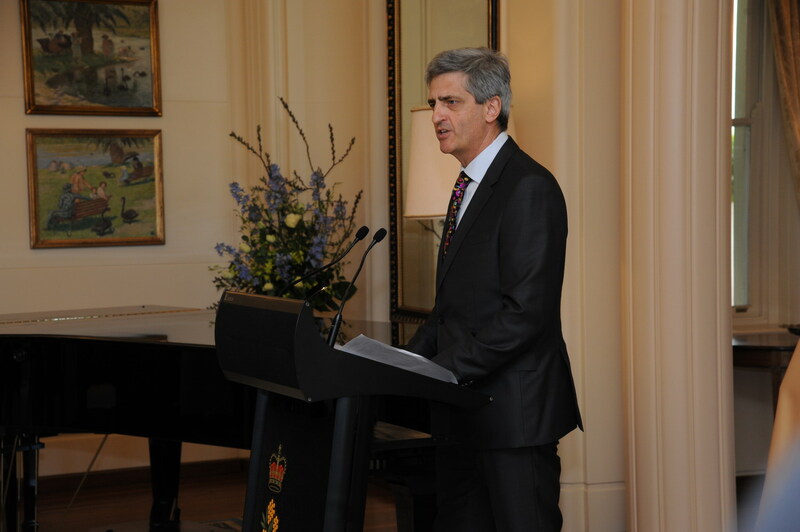 The Governor-General addresses guests at the event. May I offer you the warmest of welcomes to Government House on this perfect Canberra winter morning. I started my day with an exhilarating walk around the edge of the lovely grounds here, the sun gleaming across the lake, reflecting on the happiness the birth of a baby brings to a young couple. To a family and indeed to all of us as we welcome a Prince and congratulate Their Royal Highnesses. I know that grandmothers like me will be indulging in heart-warming nostalgia about our own experiences of the most memorable life changing event in our lives, and so it will be for William and Kate. My friends, How apt that it is brisk outside and there is snow on the Brindabellas. I am thrilled and delighted to meet this group of recreational and elite athletes,the President of the Australian Paralympic Committee, board members and colleagues from Disability WinterSport Australia, and of course DWA’s generous and dedicated corporate and community partners. 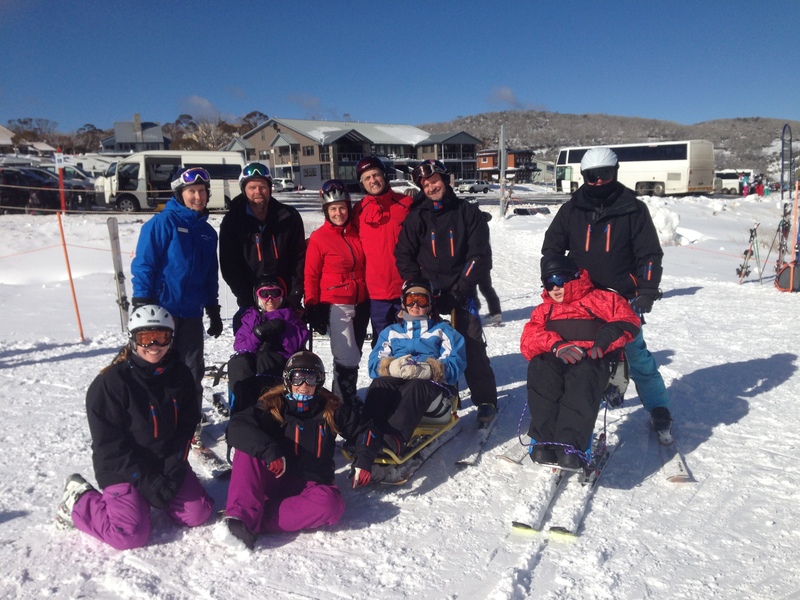 DWA has a proud history of assisting disabled Australians from across our country to participate as fully as possible in winter sports, both at home and overseas. What you do, and what your athletes do in turn, enshrines a “spirit of audacity” that signals inclusiveness, despite the challenges. We Australians love sport. It brings us together. Engages us like nothing else does. Gives an extraordinary sense of sharing and belonging that transcends age, background, occupation, ability. We admire what sports men and women do – the physical and mental commitment, their courage, tenacity, and willingness to have a go. I thank DWA for 35 years of generous service, and congratulate you on the appointment of a new Patron, who will assist you to highlight your work and further broaden community support. Richard de Crespigny needs no introduction, but I would like to say a few words about how well suited I think he is for this particular role. A distinguished flying career in the Royal Australian Air Force and QANTAS, the latter with more than its usual share of excitement has highlighted his impressive skills and experience in teamwork, problem solving and professionalism, and his own “spirit of audacity”. 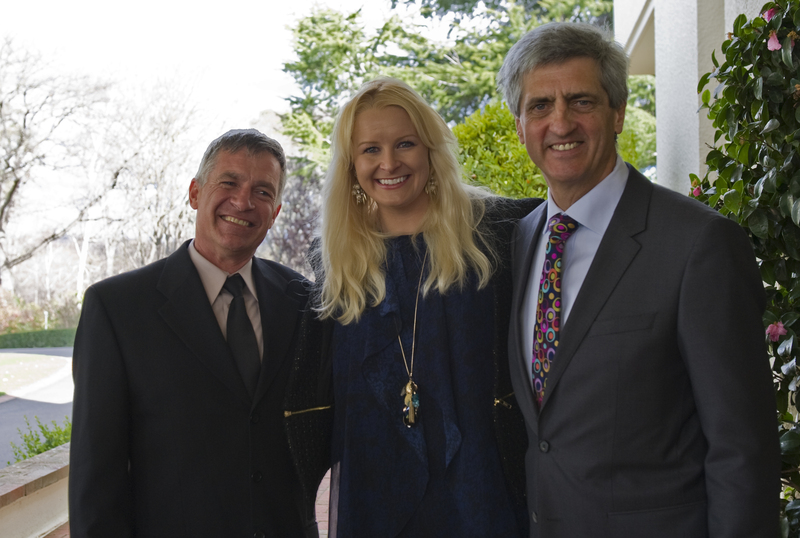 Ladies and gentleman,it gives me great pleasure to officially announce Mr Richard Champion de Crespigny as the Patron of Disabled WinterSport Australia. Richard, I wish you well as you champion DWA, and I extend to all concerned my best wishes for success, fulfilment, and fun. 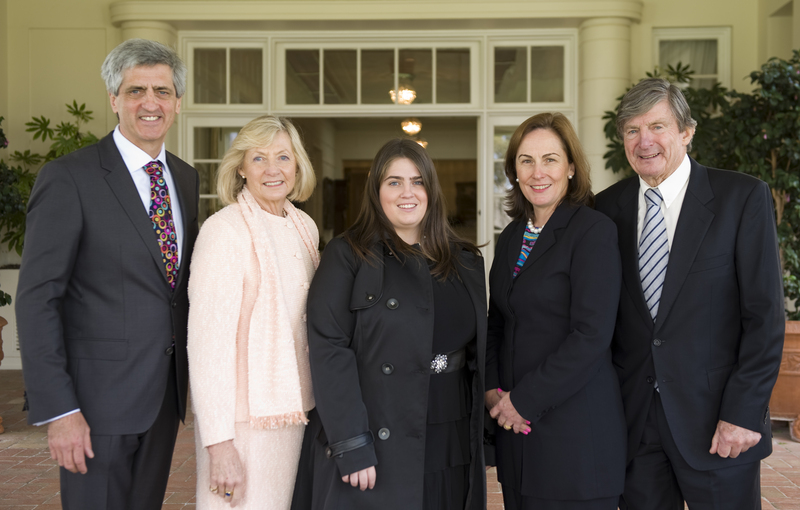 It is a pleasure to be back at Government House after thirty one exciting years. Back then in 1982 I was just a young man with dark hair. As the Air Force Aid de Camp I served Sir Zelman Cowan and Sir Ninian Stephen. I lived upstairs and I have only wonderful memories of working in vibrant and exciting teams, working very hard, but with extraordinary individuals. It was one of the highlights of my life. I remember one Sunday afternoon playing tennis with Sir Zelman Cowen. After the game I asked him how he had achieved so much and reached such a remarkable position as Governor General. After Sir Ninian Stephen became Governor General, I asked him the same question. “I never aimed for greatness and I certainly never thought Anna and I would end up living here in Yarralumla said Sir Zelman. I just worked as hard as I could and followed my passion. Sir Ninian’s response was similar. Both these remarkable Governors General indirectly mentored me when I was in my mid 20s. They were driven by beliefs to aim for excellence and to care and be empathetic to others. I’d like to think that I adopted their values and my next 30 years took fascinating and wonderful turns. So here I am back again after these years. Looking around, I can see that many things have changed around the house. Wonderfully some things have not. I see the young footman Roger King and Flora Wehlau who were here in 1983 and who have have looked after the House and still remain on staff today – it’s wonderful to see you again. 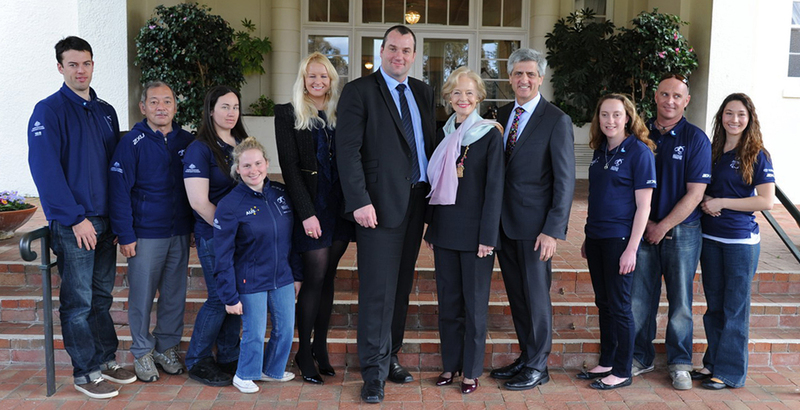 I am honored to be asked by Their Excellencies to be the Patron for Disabled WinterSport Australia. For I have had a fortunate life. Now I am able to give back. 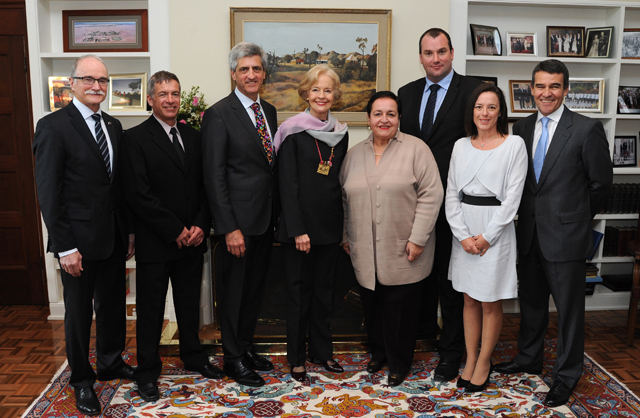 To help others the way Sir Zelman, Sir Ninian and others mentored and helped me. For our lives are measured not by what we have, but by what we give. So I am proud to have the opportunity to join the DWA volunteers and to offer those with disabilities the opportunity to increase their confidence, challenge their courage and through these events maximise their potential. DWA proved to Jess Gallagher that her vision is not limited by what her eyes can see, but what her mind can imagine. Her Bronze Medal at the 2010 Paralympic Games is a testament to DWA’s success. Melissa Perrin– World circuit podium level alpine skier Tory Pendegrast – sit skier Pru Watt – London Paralympic Games 2012 Alpine skier and swimmer Trent Milton – snowboarder, hoping to qualify for Australia’s (first) winter snowboarding team to the Sochi Games in 2014 Jody Broadhurst – snowboarder, also hoping to qualify for the Sochi Games. The QF32 incident reinforced a great lesson for me. That the glass HALF EMPTY approach to life DOES NOT work! I was overloaded during the QF32 flight when we began with a perfect aircraft then quickly had to cope with over 120 failures over what we perceived was a disintegrating machine. It was only when we inverted the logic, and took the “glass HALF FULL approach” – by determining what we had working for us instead of what wasn’t, that we managed to return 469 souls home safely to their loved ones. The conclusion is clear – Appreciate the things that you have, not what you have lost. Or as Jess Gallagher told me yesterday – “It isn’t about disability. It’s about ability! I have other assets to help me at DWA. 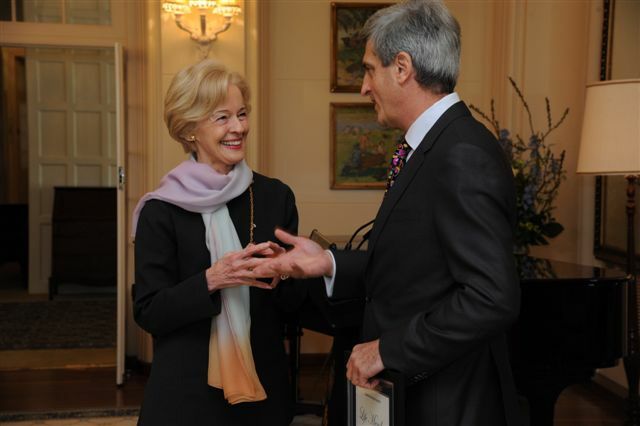 My father Peter de Crespigny is here today. Dad was one of the founding members of the Australian Alpine Club, Australia’s largest ski club that has lodges in every ski resort in Australia. Dad taught me to ski, how to push my body, build the courage to face risks and reap the personal rewards. Skiing used to be the domain for the fortunate, and healthy adventurers. With DWAs help, it’s a sport now for everyone, guiding the disabled through activities they have probably never contemplated before. Giving them Independence and freedom, for snow has no steps! Letting them feel the wind in their hair for the first time – something that we take for granted. My wife Coral, daughter Sophia and wicked step mother Mariea are also here. We all ski as often as possible and we are looking forward to supporting DWA and its sports men and women in every endeavor. Your Excellencies, and to all DWA members, thank you for the honour and privilege to invite me to be part of this great organisation. I ask all Australians to support Disabled WinterSport Australia, for it is the most worthy cause and my greatest endeavor. My mission as Patron of DWA (with Coral’s help) is to help every DWA member find their strength, fortify their resilience, and through that realise their full potential. In my first role as the Patron of DWA, it is now my great pleasure to present Her Excellency The Governor General with the Life Membership to the Disabled WinterSport Australia. 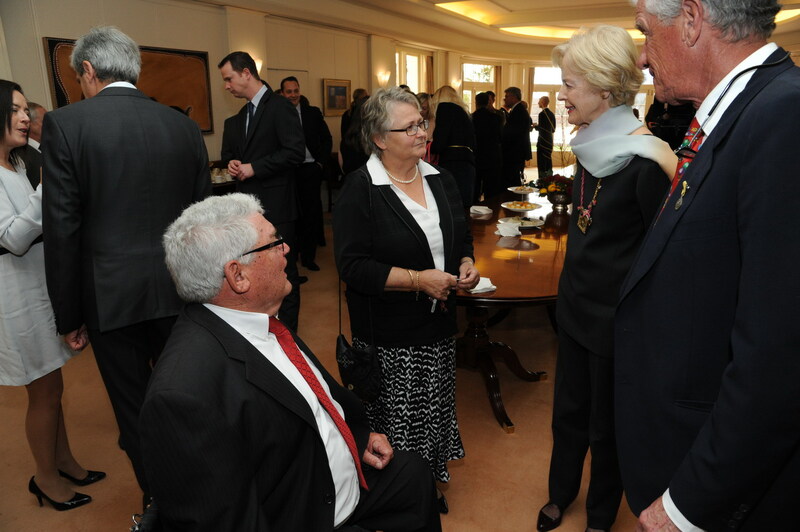 Her Excellency The Governor General receives Life Membership to the Disabled WinterSport Australia. 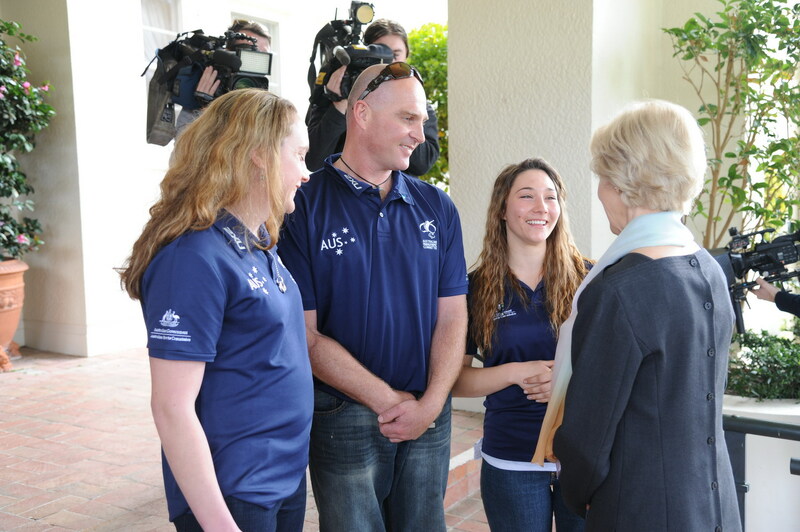 Your Excellency, thank you for your passionate support you have provided to the Australian Paralympic Games and for the disabled in our community. You have made a difference and everyone at DWA commends you for your care that has helped so many disabled people in Australia.